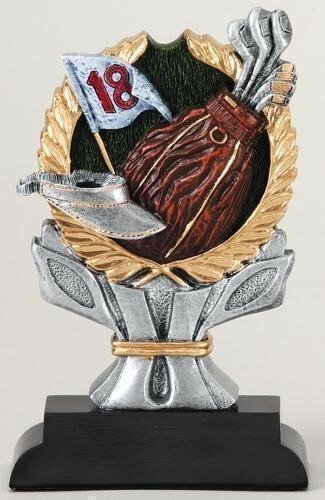 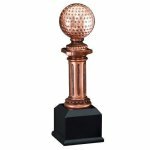 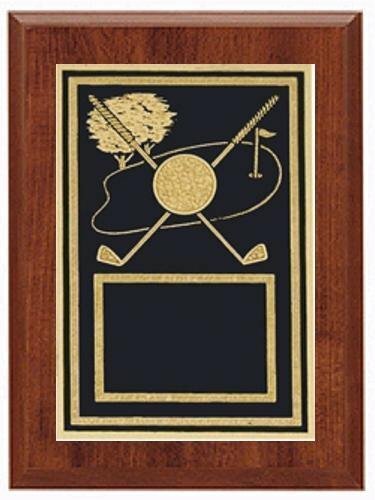 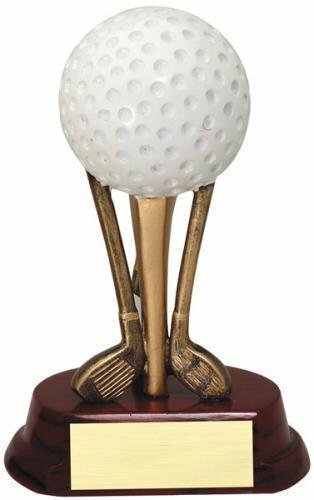 The Golf Ball resin trophy is available in 3 sizes and comes with a brushed gold laser engraved plate with black letters. 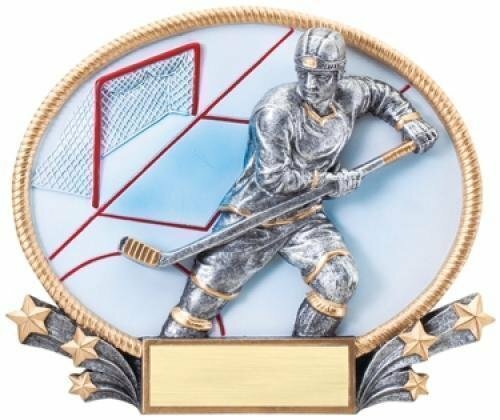 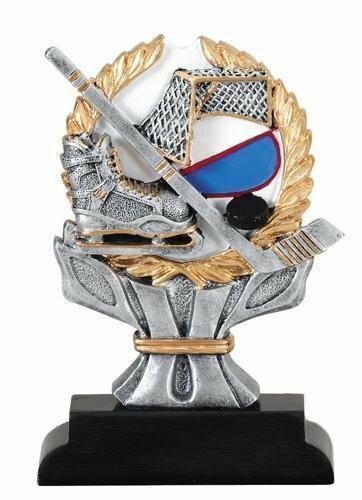 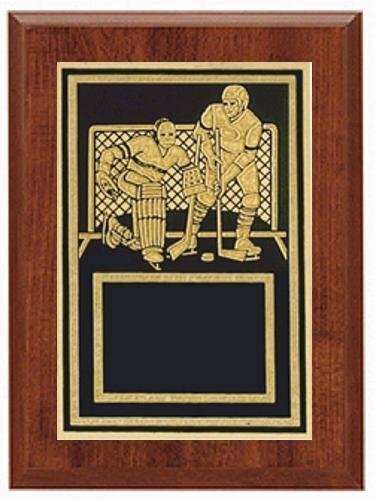 The Hockey resin award can be used as a plaque or as a trophy that stands up. 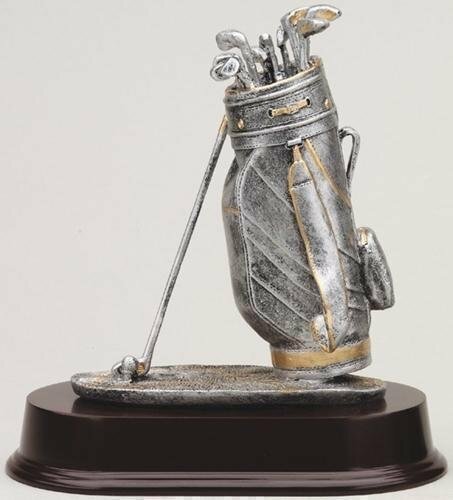 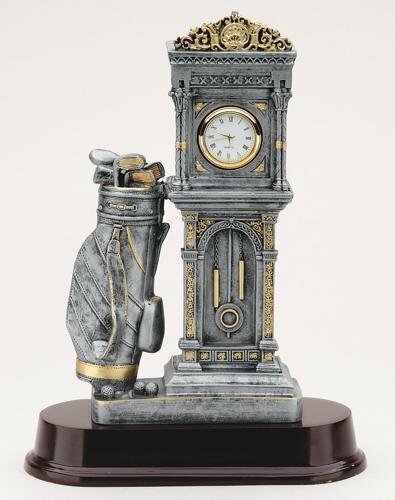 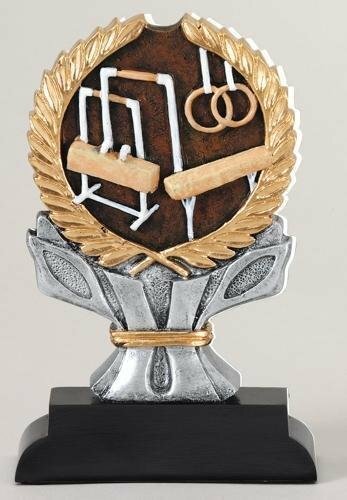 This 3D trophy includes a brushed gold plate with up to 3 lines of black engraved letters.